Debashish Chakrabarty, or ‘Debashishichikurabaruchi’ as the Japanese would like to call him is a Software Consultant based at Pune and a blogger and podcaster. He has been on the Internet since the “geocities” days but opened his Blogger account in October 2002. 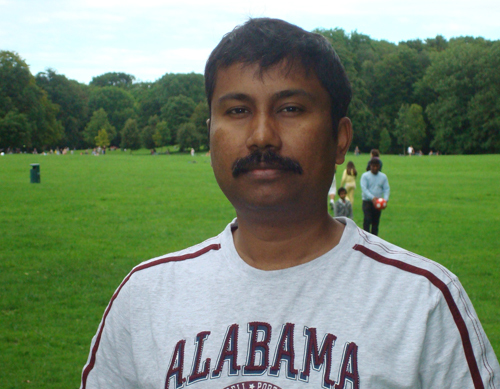 He has an English blog Null Pointer and a Hindi one NuktaChini, though most of his blogging has now been replaced by micro-blogging at his Twitter account. 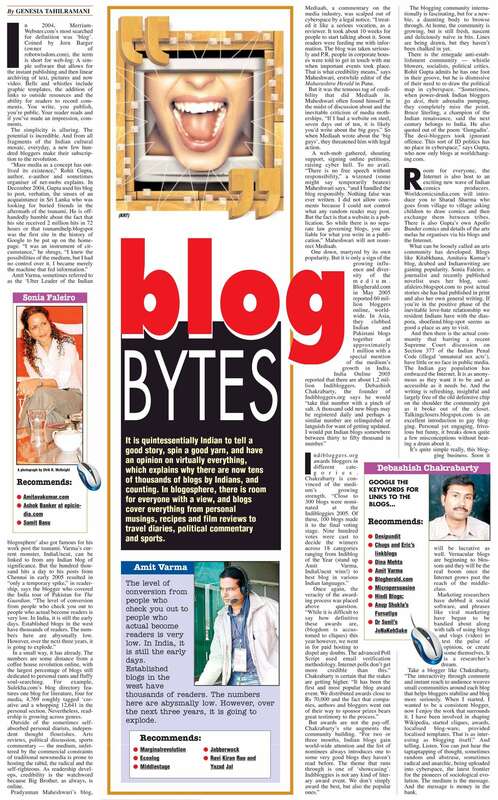 Debashish had been a DMOZ editor, created the first Hindi blog-aggregator Chittha Vishwa that also tracked advances in Indic Blogging, launched the first desi blog-awards called The Indibloggies and keeps a sharp eye on Indic-blogging. He has been evangelizing use of Hindi and Indian languages on the Internet and was instrumental in creation of Sarvagya, a wiki aimed at providing primers and advanced tips for people interested in using Hindi (and other Unicode supported Indic languages) on the internet. 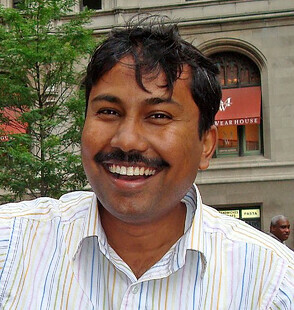 Debashish moderates “Chitthakar”, a popular mailing list of Hindi bloggers. He has also been instrumental in beginning initiatives like Buno Kahani (a group blog where various authors literally weave a story) and Anugunj (a web event hosted in turn by Hindi bloggers – where various bloggers write on a given topic). He occasionally contributes to the Hindi Wikipedia. Debashish publishes Nirantar, hyped to be the world’s first Hindi blogzine (now merged with and published as Samayiki). He is was also the initiator & editor of the Hindi Lingua Project of Global Voices Online, a non-profit global citizens’ media project founded at Harvard Law School’s Berkman Center for Internet and Society. Debashish has also been contributing towards localization of tools & software. Some of the projects he contributed to include WordPress, Gregarious, Pebble, IndicJoomla, IJoomla, Scuttle, Snap Shots, Blog Bar and Splitweet. Chittha Vishwa: The first ever Hindi blog aggregator with resources such as Blog stats, Blogger Profiles, Trivia and Bookmarks (defunct as myjavaserver shut down its free services). Bangla Blog Primer : One of the first tutorials on the web that helped people start blogging in their mother tongue using Unicode in a jiffy. Bangla Blogs ~ Blog Directory : World’s first directory of Bangla (Bengali) blogs from world over. Hindi Blogs ~ Blog Directory : Directory of Hindi blogs from world over, co-founded with Raman Kaul. Buno Kahani : A group blog where various authors literally weave a story. Nirantar : World’s first Hindi blogzine founded and published by Debashish, covers socio-economic issues, literature and technology (now merged with Samayiki). 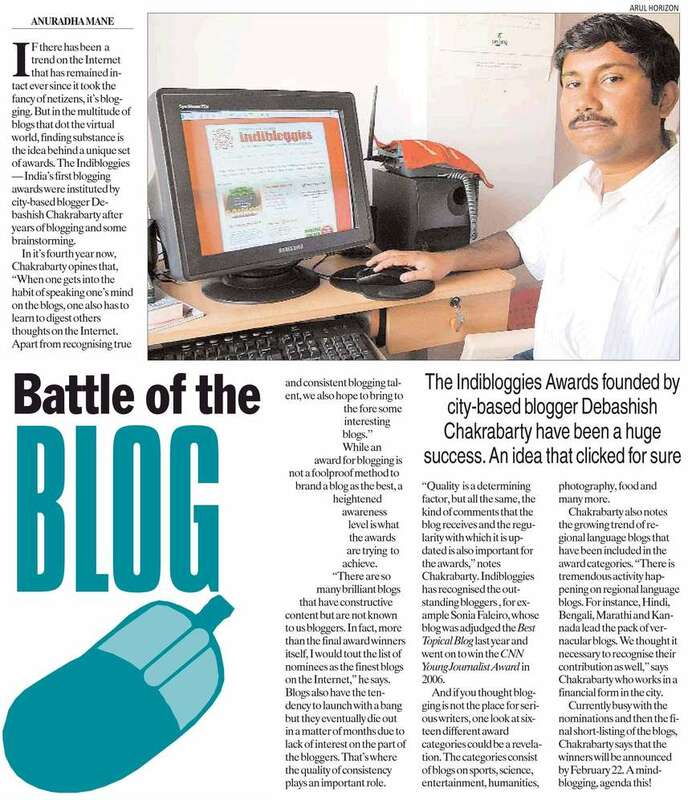 The Indibloggies : An annual blog-award clique for Indian Blogs. The site “showcases the best of the Indian blogosphere” and awards English as well as Indic blogs authored by Indians and the Indian Diaspora. Surkhiyan : Latest headlines from various online Hindi news mediums feeds such as BBC Hindi, Dainik Bhaskar, Navabharat Times, MSN Hindi, Dainik Jagaran, Deutsche Welle etc. Podbharti : World’s first Hindi Podzine (Podcast) co-founded with Shashi Singh. Samayiki : Hindi Webzine (Nirantar was merged with the new magazine). Shabdanjali: Hindi zine : Interviewed by Anup Shukla, the Hindi blogging doyen, at Shabdanjali magazine (in Hindi).